Manhattan’s luxury market saw 21 contracts signed last week for a total of about $196 million, according to the latest report from Olshan Realty. The contracts signed at $4 million or above were split between 15 condominiums, four townhouses and two co-ops. Total sales and dollar volume were both down slightly from the week before, when 27 contracts were signed for $199.5 million. The top contract last week was for a townhouse at 11 West 12th Street, which had an asking price of $21.9 million, down from $28.5 million when it hit the market in May. The five-bedroom house spans about 9,700 square feet and was gut renovated in 2012. 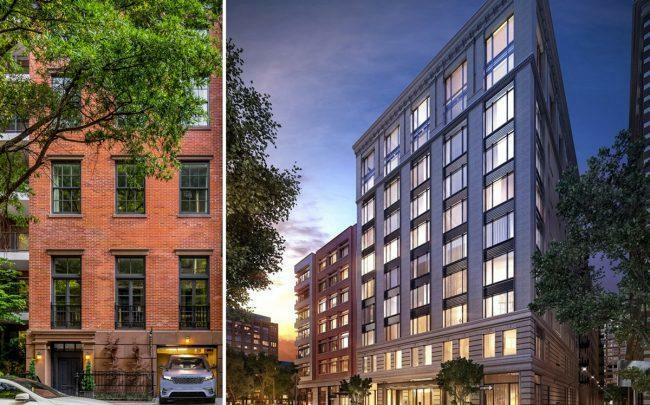 The second priciest deal was for a penthouse condo at HFZ Capital Group’s 11 Beach Street, which had an asking price of slightly less than $20 million, down from $22.5 million when the developer listed it in 2015. The four-bedroom unit spans about 6,000 square feet. Douglas Elliman’s John Gomes will be among the buyer’s neighbors. The average asking price of a signed contract throughout the first quarter was about $8.8 million, which was the highest since at least 2005. Units also spent an average of 516 days on the market, the longest of any quarter. Other contracts signed last week included a roughly $15 million townhouse at 253 West 18th Street and a $5.85 million co-op at 1115 Fifth Avenue.